A new patch has arrived which brings in everything for this week's Witchwood expansion. Three free Witchwood packs! Login when the expansion goes live to get them. You can now borrow a friend's deck when you play against them in Friendly Challenge. A new Druid Hero, Lunara, has been added. Win 10 Standard games after Witchwood launches to unlock her. A new event has been datamined for the Spring - Noblegarden. A couple of free cards come with it. Quests which previously rewarded 40 gold now reward 50 gold. Most dailies also are now easier to complete. Arcane Dust for Hall of Fame cards will be given out when Witchwood launches. Molten Giant is 20 mana right now in Standard. Go play Handlock! Reminder: Time is running out to pre-order The Witchwood. Pre-ordering gives you 70 card packs for the price of 40! Limit of one pre-order per account. 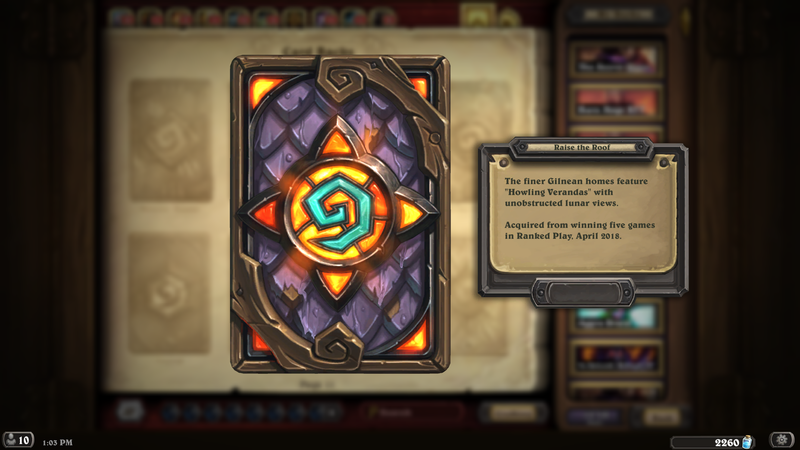 You will also get a pre-order card back! Pre-orders can be done in-game or on the BNet Shop. A few new search terms have been added to the collection. 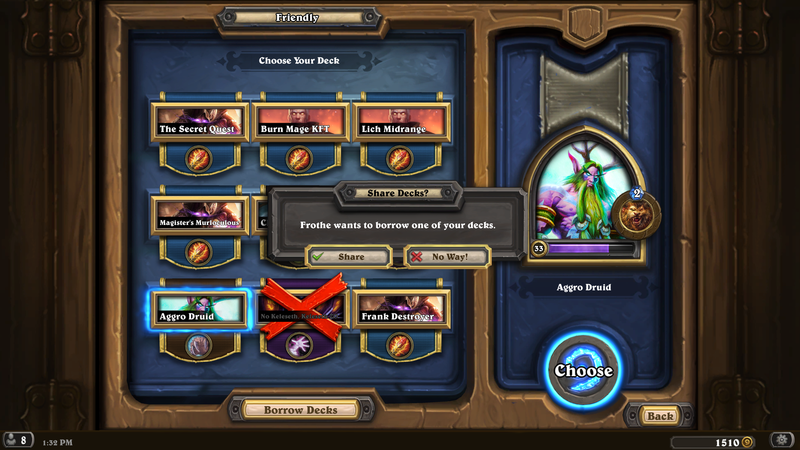 You can now borrow a deck from your friend when you play against them. If they accept your request, your deck interface will show their decks instead of yours and a button to go back to your decks. These decks can't be taken onto the ladder, they can only be played against the friend you've borrowed it from during that game. 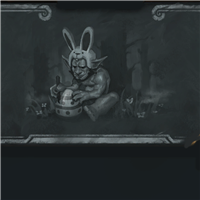 A Noblegarden (Easter) event that has been added. Free cards are rewarded! 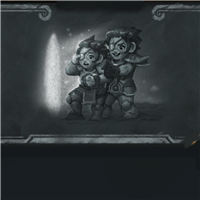 Six new chalkboards have been added for a theoretical six new brawls in the future. Egg was added as a Race. 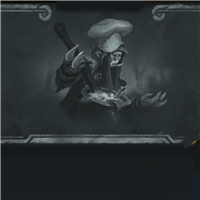 Below are all the new flavor texts in today's patch. Find anything exciting? Duskhaven Hunter - After a short paws, she's back to herself again. Pumpkin Peasant - Time to squash your opponent. Gilnean Royal Guard - Admittedly, they kind of dropped the ball with Prince Liam. Rebuke - When one buke just isn’t enough. Phantom Militia - Recruited from the Gilnean opera house. Rabid Worgen - "I'm sorry, son. We had to send Old Howler off…to a farm…to play…"
Arcane Keysmith - She sells all manner of keys: from A flat to G sharp. Worgen Abomination - Does anyone want to play dead!??!? Deranged Doctor - Unfortunately, his doctorate is in Murloc Literature. Cauldron Elemental - Decorating tip: Unused cauldrons can make a lovely elemental display. Furious Ettin - One head is a morning person. The other head hates morning people. Darkmire Moonkin - Birds of a feather Moonfire together. Ravencaller - That Friends and Familiars Plan is really paying off! Tanglefur Mystic - Doom! Only doom for you! But pay good tip, maybe less doom. Mossy Horror - The hills have eyes. And teeth. Pretty bad breath, too. Mad Hatter - He's entirely bonkers. 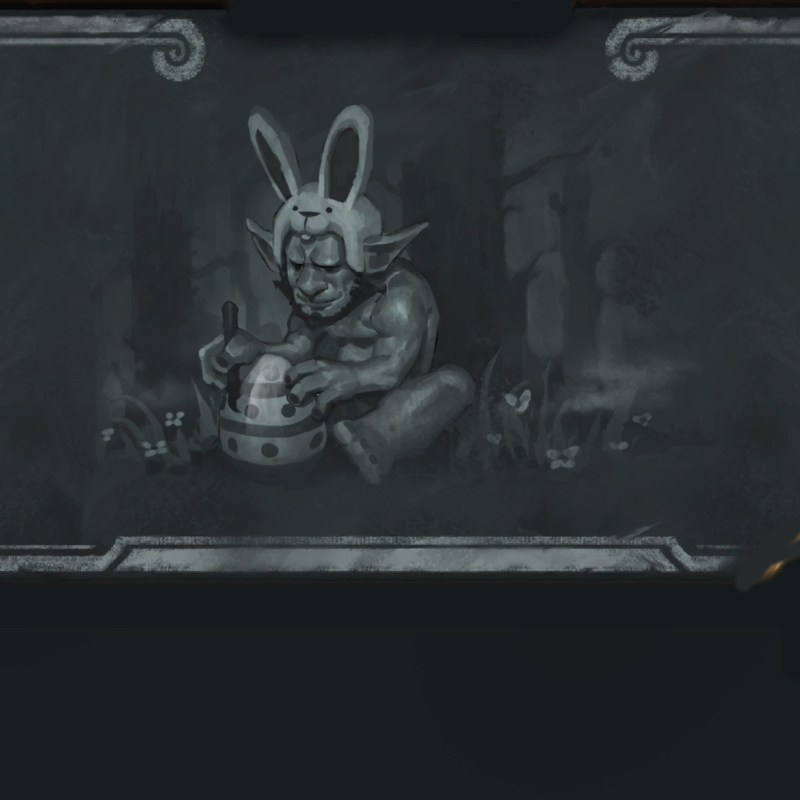 All the best goblins are. Emeriss - Taste your world's corruption! It tastes like chicken. Gloom Stag - Majestic. Ethereal. Still pretty down in the dumps, though. Holy Water - For a healthier option, try Holy Water: Zero. Chameleos - He's everyone you want to be. Vicious Scalehide - They make wonderful pets if you're not allergic to blood loss. Sound the Bells! - Weirdly, the bells stop ringing after 5. Cinderstorm - Forecast: Cloudy with a chance of fireballs. Blackhowl Gunspire - The upper windows used to be for aiming. Then we thought: "Hey! MORE cannons!" Redband Wasp - Also comes in other colors, but red's in fashion this season. Quartz Elemental - These elementals, along with feldspar and mica, are often taken for granite. Druid of the Scythe - She's a scythe for sore eyes. Nightscale Matriarch - Everywhelp, get in here! Fiendish Circle - Like a knitting circle, but less evil. Azalina Soulthief - The cards are always golden on the other side. Hagatha the Witch - Curse-bringer, tree-twister, mother of wretched things…Hanzo main. Cheap Shot - 50% off. Every shot must go! Bewitched Guardian - Amwitched. Beingwitched. Beenwitched. Duskbat - Happily married with two kids. It was love at first bite. Mistwraith - One little Mistwraith sitting in a tree. M-I-S-T-I-N-G.
Ratcatcher - He's on the hunt for Togwaggle's missing rat. Wing Blast - Emeriss uses Wing Blast. It's super effective! Lost Spirit - She simply refuses to ask for directions. Wyrmguard - They think they're trusted guardians. Dragons think they're convenient snacks. Felsoul Inquisitor - Everyone expects an inquisition reference. Swift Messenger - Same turn delivery - guaranteed! Spellshifter - He also goes by "worg-lock." Murkspark Eel - Makes shockingly good unagi. Witch's Apprentice - Is she a frog that became a witch, or a witch that became a frog? Hench-Clan Thug - Hard time making ends meet? Hate the League of Explorers? Get a job henching! Deadly Arsenal - Oh look. A Gorehowl. Dark Possession - Wanted on three counts of gnomish possession. Ghostly Charger - Maybe we should have called him Ghostly Rusher. Darius Crowley - You either die a villain, or live long enough to see yourself become the hero. Book of Specters - Known throughout the land as the Spooky-nomicon. Toki, Time-Tinker - Just a twist to the left, one quarter turn to the right and … oops! Well, we didn’t need that timeline anyway. Wispering Woods - We didn't actually fire the guy who named Dark Wispers. Cursed Castaway - She was an ordinary castaway... until she found that cursed volleyball. Swamp Leech - A face only a druid could love. Blackwald Pixie - "Oh hi bark." Vilebrood Skitterer - It aspires to be a Vilebrood Dancer, but it has eight left feet. Deathweb Spider - The itsy bitsy spiders climbed up the village wall. Then came the witch and the spiders ate them all. Witching Hour - The gates to the Gilnean pet cemetary MUST remain locked at all times. Rat Trap - MISSING: One giant rat. Please return to King Togwaggle. Countess Ashmore - "1 minion… ah, ah, ah! 2 minions… ah, ah, ah! 3 minions… ah, ah, ah!" Town Crier - When he was younger, he was the town crybaby. Sandbinder - The secret is glue. Totem Cruncher - When regular totem hours won't cut it. Witchwood Piper - She rids villages of annoying pests, like rats and children. Earthen Might - Or it might not. Silver Sword - Silver’s malleability limits its utility as an edged weapon. On the other hand... SHINY! Tess Greymane - Those who cannot remember their card history are doomed to repeat it. Zap! - The material components for this spell are wool socks and a rug. Scaleworm - A popular local alternative to bananas. Toxmonger - Not all spiders are born poisonous. That's where he comes in. Witchwood Imp - This wood imp. Stop asking! Voodoo Doll - "Aww, I love it! It even kinda looks like me." Dollmaster Dorian - The children were puzzled by the scratches covering the insides of their toy-boxes. Lifedrinker - In a pinch, he'll also settle for Holy Water: Zero. Witchwood Grizzly - You know what they say about people with big hands? Small bears. Night Prowler - Listen to the mew-sic of the night. Bellringer Sentry - "Who are you? Eh, none of my business." Cathedral Gargoyle - Fly like an eagle, drop like a rock. Ferocious Howl - Have you ever heard the wolf cry to the blue corn moon? Curio Collector - Experts worry that curios are a gateway to face-collecting. Bonfire Elemental - Next step: Marshmallow elementals. Clockwork Automaton - Most mechs are pretty chill, but this one is all wound up. Chief Inspector - Empty your pockets, I know you’ve got a Wandering Monster in there! Houndmaster Shaw - They’re good dogs, Tess. Woodcutter's Axe - It's a lumberjack's axe and that's ok.
Warpath - "Left, right, left, right, there's none of the enemy left… Right?" Festeroot Hulk - Tree puns arboring. Splintergraft - We're going to need some bigger tweezers. Divine Hymn - Taken up an octave, it's highly effective against stained glass golems. Witchwood Apple - An apple a day keeps the worgen at bay. Vex Crow - As birds of ill omen, these crows often summon Doomsayers. Curse of Weakness - Warlocks refer to this as a "balance change." Rotten Applebaum - Key ingredient in Gilnean applesauce. Spectral Cutlass - So sharp it can cut through a spectral tomato! Ghost Light Angler - BoOooOogrglgrlgrlooOoOoo! Walnut Sprite - How do you make a walnut laugh? Crack it up! Muck Hunter - You think your job mucks. Marsh Drake - She would have gotten away with it, if it weren't for that meddling Drakeslayer. Paragon of Light - She’s all fun and games until someone rings that stupid bell. WANTED! - Wanted: Dead or Undead. Archmage Arugal - His worgen children call him Archmage AROO-OO-OO-OO-gal. Genn Greymane - Ever since Sylvanas killed his son, he's dreamed of getting… even. Blood Witch - Like a sloppy joe for vampires. Prince Liam - "I have a very particular set of skills. Skills that make me a nightmare for witches like you." Pick Pocket - He'll pick anyone's pocket, except a gnome's. He'd never stoop so low. Duskfallen Aviana - Someone called her "Tweety". She didn't take it well. Snap Freeze - Lick the ice block. I triple-double-dog-dare-you. Militia Commander - She only needs two commands: "Heel" and "Sic 'em!" Coffin Crasher - Also does weddings. Bogshaper - The tricky part is getting them to HOLD their shape. Unpowered Steambot - Overpowered Steambot got nerfed. Hunting Mastiff - "Shh! You're going to start a howl!" Vivid Nightmare - "I… I dreamed I accidentally crafted a golden Millhouse! It was so REAL!" Baleful Banker - He's gotten big into crypt-o-currency. Swamp Dragon Egg - Would you eat them in a ditch? Would you eat them with a witch? The Glass Knight - She seems scary, but she's got a glass jaw. Shudderwock - Beware the Shudderwock, my son. We're fresh out of vorpal daggers. Lord Godfrey - Betrayed the Alliance. Betrayed the Horde. All for 200 achievement points and a sweet, sweet hat. Baku the Mooneater - In her defense, it did look like a cookie. Blink Fox - It's like, SUPER bad at staring contests. Dire Frenzy - It's always Huffer. And Huffer. And Huffer. And Huffer. Forest Guide - "Just sign this waiver, and we'll be on our way." Squashling - Everyone hail to the squashling song! Blazing Invocation - A lot of shaman have started vaping their invocations. Glitter Moth - Some moths are attracted to flame. This one's attracted to disco. Black Cat - She's so odd, you can't even. Lady in White - She was a lady in polka dots until the gnomish laundromat incident. Cutthroat Buccaneer - In life he worked as a sword swallower. Hidden Wisdom - Find your own wisdom. Perhaps behind the couch. Carrion Drake - Fits easily into overhead luggage bins. Nightmare Amalgam - Be all that you can be. 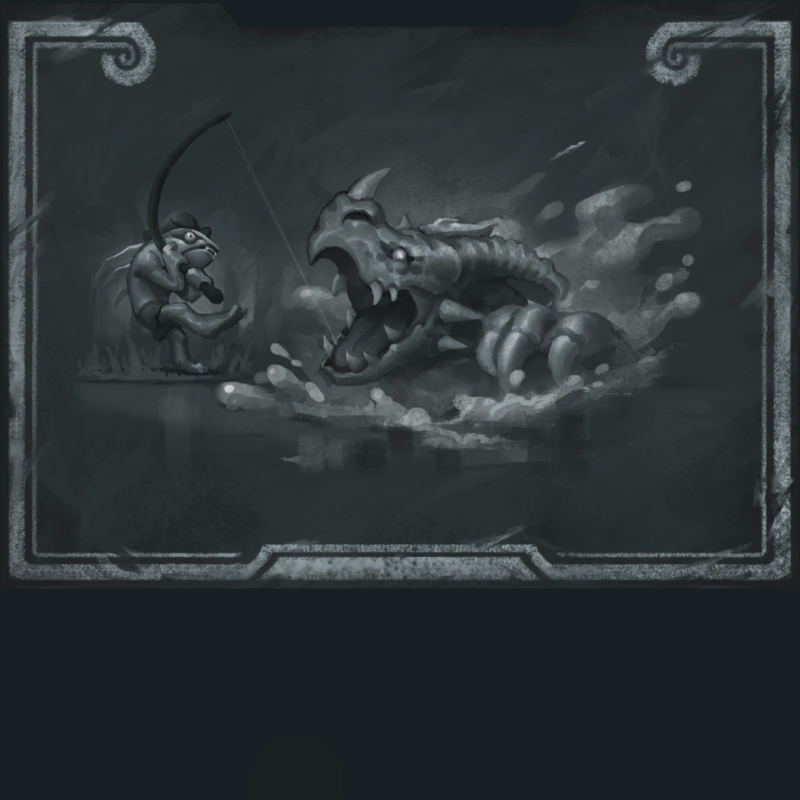 The following card backs have been added to the game. New quests have been added to the game! There are regular quests to defeat Monsters as each of the Monster Hunt heroes. There is a daily quest which requires you to defeat 3 Monster Hunt bosses. Lunara is earned through completing 10 wins in Standard. 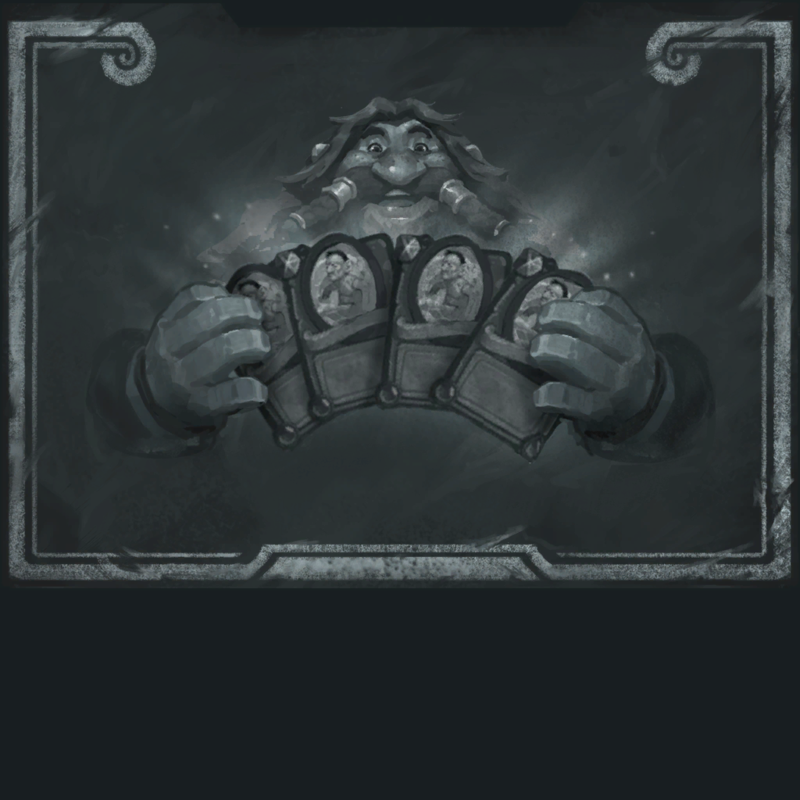 Logging into Witchwood will give you 3 card packs. Old quests have had their gold costs adjusted so they reward at least 50 gold. They are also easier to complete. Description: You’ve defeated Hagatha and reclaimed the Witchwood! Description: Win 2 games with any class. Note: Previously required 3 victories. Description: Deal 65 damage to enemy heroes. Note: Previously required 100 damage dealt to enemy heroes. Gold increased. Description: Win 3 Tavern Brawls. Note: Previously required 5 wins. Description: Win 5 games in any mode. Note: Previously required 7 wins. Description: Defeat 3 Dungeon Run Bosses. Quests requiring 75 cards to be played now only require 50. The reward remains 100 gold. Quests requiring 40 cards to be played now only require 25. The reward has been increased to 50 gold, from 40. Quests requiring 30 cards to be played now only require 20. The reward remains 50 gold. Quests requiring 20 cards to be played now only require 12. Quests requiring 15 cards to be played now only require 10. Quests requiring 10 cards to be played now only require 6. Quests which required you to win 3 games with the class now only require 2 wins. The reward has been increased from 40 to 50 gold. Quests which required you to play 50 class cards now only require you to play 30. The reward remains 60 gold. Quests which required you to win 2 games with the class now only require 1 win. 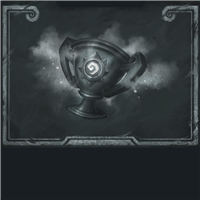 Quests which required you to win 5 games with one of two classes now only require 3 wins. Description: Defeat 10 monsters as the Tracker. Description: Defeat 10 monsters as the Cannoneer. Description: Defeat 10 monsters as the Houndmaster. Description: Defeat 10 monsters as the Time-Tinker. Description: Defeat 3 Monster Hunt Bosses. Description: Win 10 games in Play mode. Description: Enjoy some free cards on us! Description: Gear up before venturing forth! Rewards: 3 Witchwood Packs on Login. Encounters get more difficult as you delve deeper into the Witchwood. Each monster hunter has his or her own personal nemesis. You'll never know what monster is around the corner. Build a mighty deck! Certain monsters drop unique treasures when you defeat them. You'll never assemble the legendary sword of Quel'delar. Not here, at least. "Passive" treasures are always in effect and impact your whole run. Tailor your deck around the treasures you find to maximize their impact! The four monster hunters each have their own approaches to the Witchwood. Where is Hagatha? All four monster hunters must work together to find her! There are more than 40 different monster encounters in the Witchwood. When all else fails... there's always the Ricochet Shot. The section below will be updated when Blizzard posts patch notes. 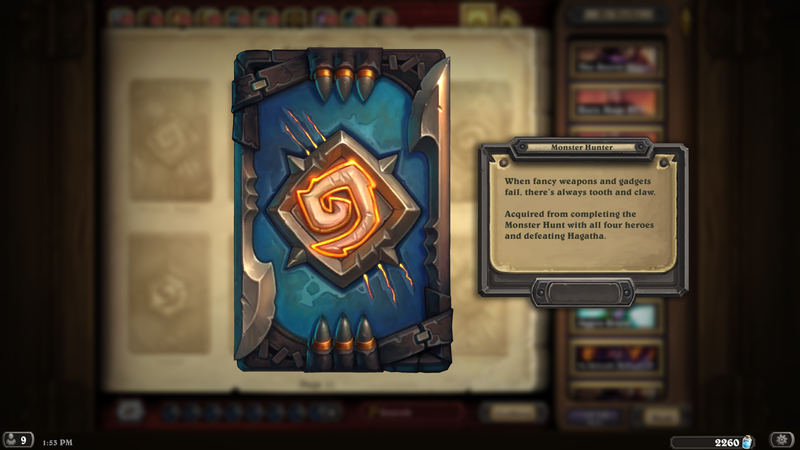 We’re on the cusp of the new Hearthstone Year! This Hearthstone update puts the final touches in place for the Year of the Raven and the launch of Hearthstone’s latest expansion, The Witchwood! We’re also adding Lunara, the new Druid Hero, Daily Quest improvements, Friendly Challenge deck sharing, Arena updates, and new card backs. We’re also fixing some bugs. This update is now live in the Americas and Europe! Brave The Witchwood on April 12! Join the best monster hunters of Gilneas as they seek out the source of a dreadful curse in a haunted forest! The evil in the woods will soon learn that it’s bitten off more than it can chew, because the people of Gilneas bite back! Even and Odd decks – Build a deck with Genn Greymane or Baku the Mooneater to boost your Hero Power, but you’ll only be able to use even- or odd-cost cards! For a limited time after The Witchwood arrives, log in to claim three card packs and a random class Legendary card—both from new expansion—for free! The Witchwood’s challenging, free single-player mode, Monster Hunt, opens in two weeks! Time is short! The Witchwood pre-purchase bundle will only remain available until 11:59 p.m. PDT on April 11. This bundle includes 50 card packs at a special price, as well as 20 more bonus card packs and the In a Dark Wood card back! The Year of the Raven begins when The Witchwood launches! Earn Lunara by winning 10 Standard Ranked or Casual games after the new Year of the Raven arrives! The Enrage keyword has been retired. These minions still work the same way, but have re-phrased card text. The Rampage Daily Quest to play 10 Enrage minions has been removed. Deathstalker Rexxar’s Hero Power has been updated to include Beasts from Kobolds & Catacombs and The Witchwood. Minions now only break Stealth when attacking. Damage dealt by card abilities, such as Knife Juggler’s knife throw, no longer breaks Stealth. Cards that were burned, such as by drawing cards when your hand is full, will now appear in match history. 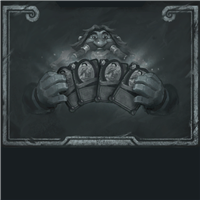 The animated glows signifying that a card’s ability has been activated in your hand have been adjusted to make them easier to distinguish without relying on color. The red “X” on daily quests in the Quest Log has been replaced with a new blue “reroll” icon. Added additional Search functionality in the Collection Manager to support even- and odd-cost cards. Use Mana:Even and Mana:Odd. 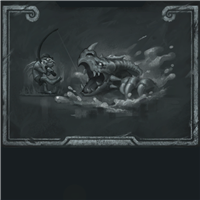 New Daily Quest—Catch a Big One: "Defeat 3 Monster Hunt Bosses." Fixed a bug where certain cost-reduction effects, such as Ethereal Peddler or Shadowstep, were not removed when transformed by cards such as Lilian Voss or Golden Kobold. Fixed various issues associated with spells cast by Scroll of Wonder. Doomerang’s effect no longer incorrectly counts as destroying the equipped weapon for the purposes of interacting with minion or card abilities. Playing Grand Archivist while Nozdormu is in play will no longer sometimes skip an opponent’s turn. Duplicates created by Doppelgangster will now correctly trigger their Val’anyr Deathrattles while Spiritsinger Umbra is in play. 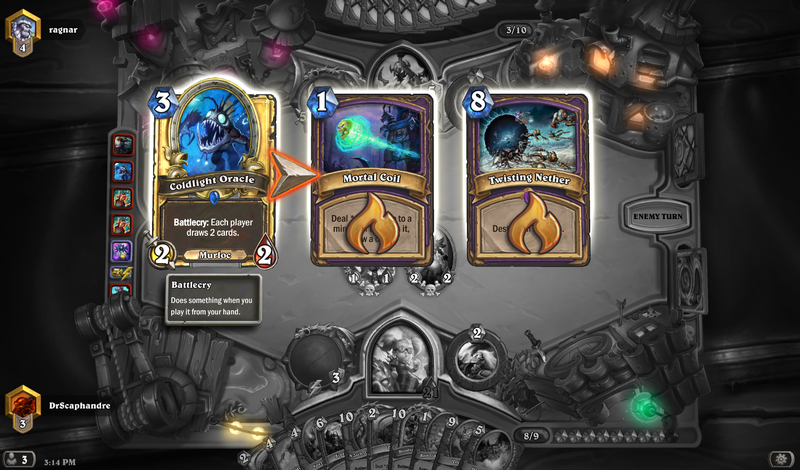 Lesser Pearl Spellstone now upgrades correctly when a Hero receives healing from two different sources at the same time. V-07-TR-0N will now properly destroy the other friendly mechs in play when formed from Mimiron's Head while Warsong Commander is in play. Fixed an issue that could cause a disconnect when returning Lord Jaraxxus to a player’s hand before its Battlecry resolves. Genzo the Shark will no longer activate twice if his attack is redirected. Crypt Lord no longer buffs itself after it is destroyed by an effect that summons a friendly minion. Madam Goya will no longer destroy the targeted minion if your deck is full. Serrated Shield now correctly displays bonuses from Spell Damage. Stand Against the Darkness can no longer be cast when your board is full. [Android] Fixed an issue that could cause instability when browsing card backs in the Collection Manager. Fixed various minor UI and Animation issues. Improved the phrasing of some cards. Your spells will no longer gain the Stealth keyword if you chose the Cloak of Invisibility. Using Scroll of Confusion will no longer prevent a minion that you control from attacking. Phantom militia recruited from opera house. It took me a minute, but that is funny! or just have taken a Geology 101 course. Hagatha the Witch- Curse-bringer, tree-twister, mother of wretched things…Hanzo main. Wing Blast- Emeriss uses Wing Blast. It's super effective! Witch's Apprentice- Is she a frog that became a witch, or a witch that became a frog? Rat Trap- MISSING: One giant rat. 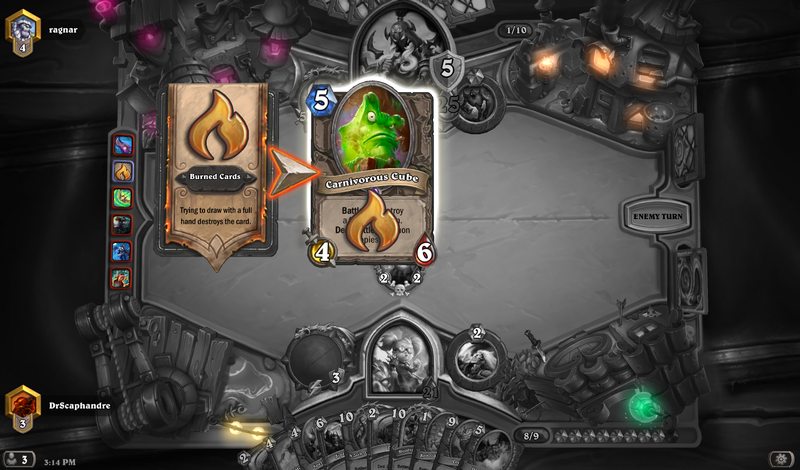 Please return to King Togwaggle. Ratcatcher- He's on the hunt for Togwaggle's missing rat. Voodoo Doll- "Aww, I love it! It even kinda looks like me." Witchwood Grizzly- You know what they say about people with big hands? Small bears. Chief Inspector- Empty your pockets, I know you’ve got a Wandering Monster in there! Warpath- "Left, right, left, right, there's none of the enemy left… Right?" Paragon of Light- She’s all fun and games until someone rings that stupid bell. Vivid Nightmare- "I… I dreamed I accidentally crafted a golden Millhouse! It was so REAL!" Black Cat- She's so odd, you can't even. Lyra the Sunshard now has a slightly changed voice. What she says is still the same, but the voice was re-edited and it sounds pretty damn sweet for such a small change. I noticed that too, but I'm playing with Portuguese voiceover. Perhaps they made this change to all languages? But I didn't like this change. Lyra voice sound more sharp. Actually, those were the real voices. Those voices were first adapted to Mobile. Not only Lyra, but Stormwatcher too. The PC voices were some different, then they made the real ones. On the past, some voices were different too, like Kodorider and Master Jouster, then, i don't know why, they changed the voices. 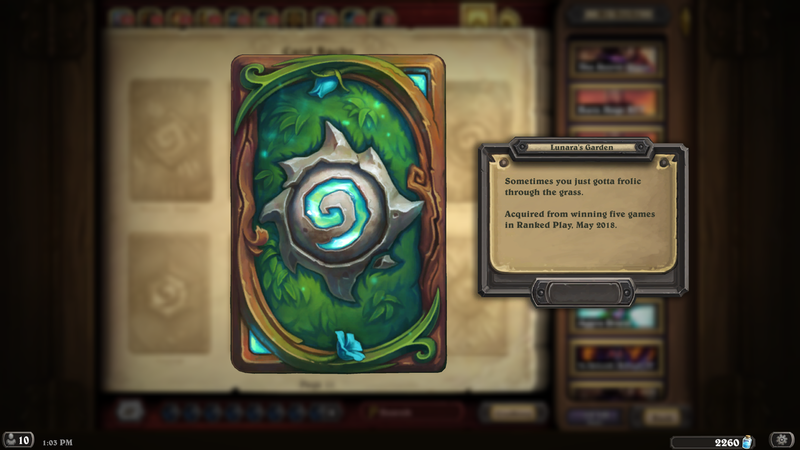 I know the april cardback's supposed to look wet, but I'm getting more of a slimy vibe. Like, you don't under any circumstance want that type of viscous fluid covering your deck of card. You'll damage them. Looks like I wasn't the only one who had a Vivid Nightmare about crafting a golden Millhouse Manastorm. Not in the patchnotes(or i'm blind) but they FINALLY added information of burned cards in game log(that bar on the left, where last plays are at). You're blind. It's in the bug fix section. THANK YOU BLIZZARD! Here's what that looks like. What? Since beta damage never removed stealth . What the change is here is that if you gave a Knife Juggler stealth, then played a minion, Knife Juggler would lose stealth because he would deal damage. With this change, he will keep stealth for no matter how many knives he throws out as long as you never attack with him.